Where to Buy Actosol Humic Acid, Bio-activated Base Actosol Humic Acid BioStimulant - 2.5 Gallon - $79.95 for Sale with Fast Free Shipping! Bio-activated Base Actosol Humic Acid BioStimulant - 2.5 Gallon is an organic biostimulant which improves stress tolerance, increases nutrient efficiency, enhances root & vegetative biomass, & increases crop yields. Base Actosol is formulated with organic humic fulvic acid which are biologically derived from natural organic humate deposits. 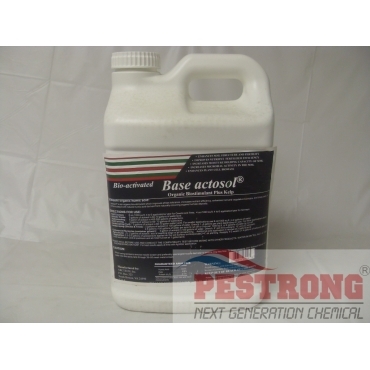 Actosol's unique component is water soluble organic humic acid. Settling is natural, which confirms actosol contains humic acid, the beneficial organic matter. When using sprayers, remove line strainer & nozzle screen. For clog free spraying, use nozzles with 0.078 or 0.097 inch opening (TeeJet Flat Nozzle Spray Tip TP 8010, TP 8015, or equivalant). It's been a great addition to our farm. Our crop growth has been much better than last year.